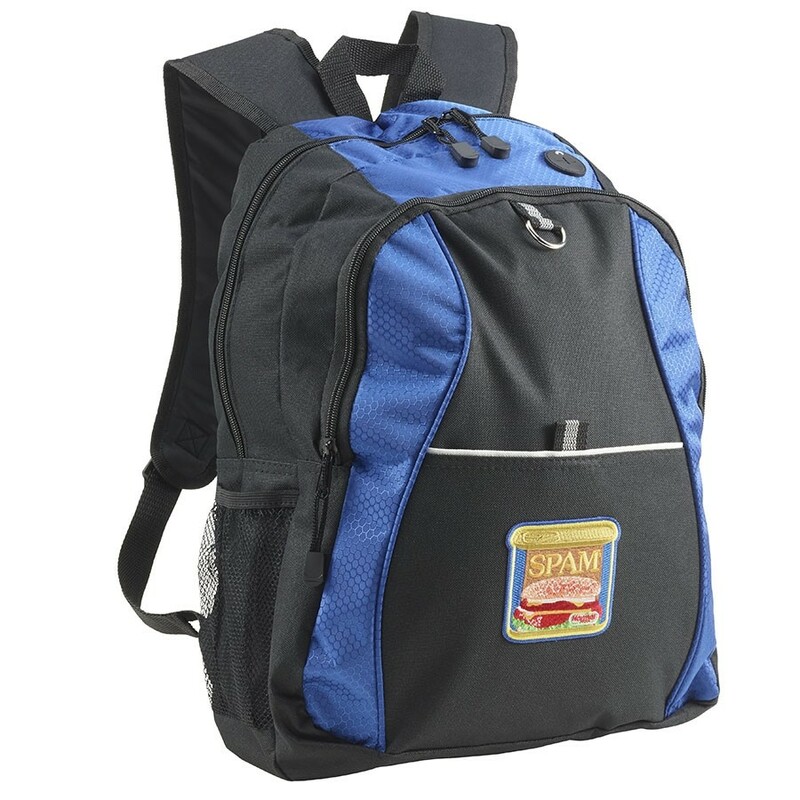 SPAM® Brand backpack with full color SPAM® Can patch sewn on front pocket. Backpack has many compartments including a mesh water bottle holder, exterior pocket with hook and loop closure, convenient headphone exit port and comfortable ergonomic padded straps and padded back. Dimensions 17.25"h X 13.25"w X 5.5"d.